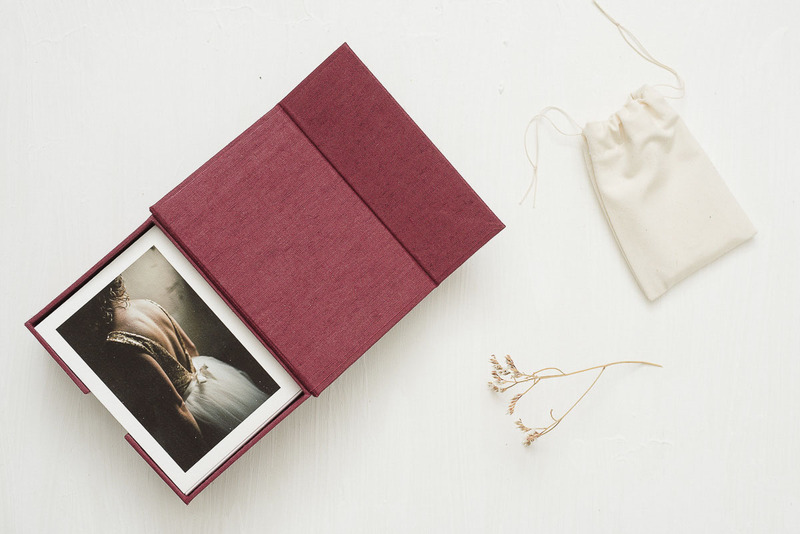 Each photo box is handmade to fit your prints perfectly. We are offering two sizes: 10x15 cm and 15x21 cm. Both boxes can be 2 cm, 6 cm or 12 cm high - depending on how many prints you wish to place inside. It doesn't come with a wooden wool like our Thank You Box but it has an opening so the prints can easily be taken out. Box is available in 2 different sizes and 3 different heights, 12 cover colors, and a variety of ways to personalize it: engraving names, logos, debossing, hot foil, and many more. If you wish a custom size box please email us and we will prepare a quote. If you wish to store your prints in a more simple way, please have a look at our minimal box or custom made envelope bags.